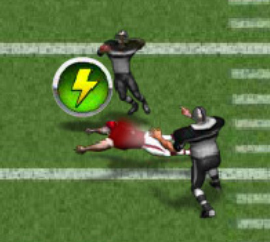 Return Man 3: The Season is an action packed football flash game that can now be played in schools, workplaces, and virtually anywhere on any computer! 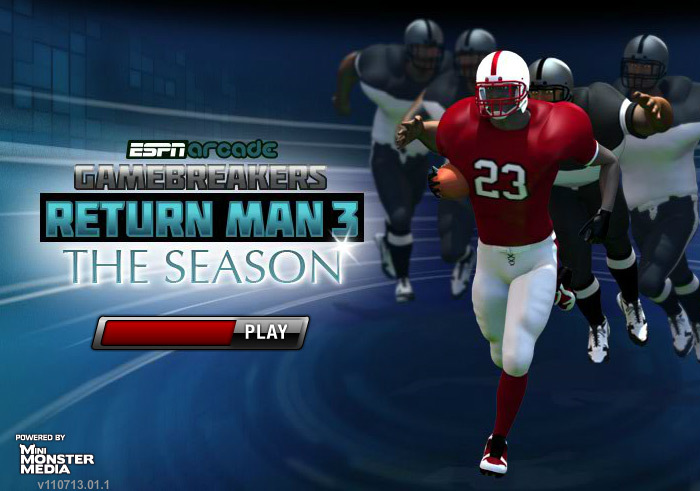 If you think you know how to play football, then put your skills to the test and try Return Man 3 now. 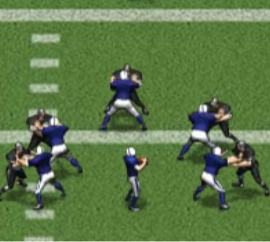 You begin the game as the star football player on your all-time favorite team. 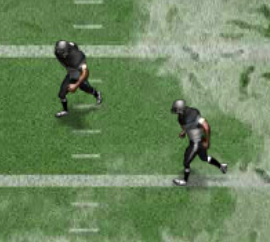 Using directional keys, direct your character to the end zone to make the winning touchdown and advance your football career. 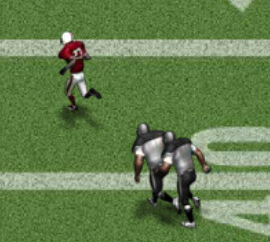 Watch out for the dozens of obstacles in your way while you make your way down the field. Obstacles may include dodging defenders, mud puddles and other objects scattered around the field. 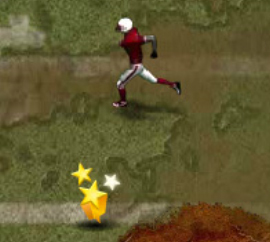 Some levels may require you to outrun the opposing team’s star kicker, while others test your ability to maintain control of the ball and avoid fumbles. If you lose possession of the ball four times, then it’s game over! Don’t worry, though, all of the previously completed stages are saved. 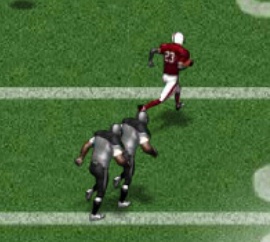 The player controls featured in Return Man 3 are fully customizable by the player. Players can choose to use the W, A, S, D keys as their directional keys, or use the I, J, K, and L default settings. Additionally, some players may choose to use the arrow keys for their directional key preference. In addition to the customizable directional keys, special operation moves also require specific keyboard key usage. By default, these special moves can be activated by pressing the A, S, and D keys on the keyboard, however if you’ve chosen to change the directional key settings, you can also customize the special key functions in the key mapping panel in the options panel. Players can also choose to mute the game’s sound and volume within the options panel. 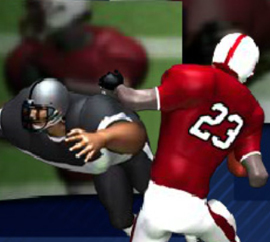 This makes it easier for students to play the game in their school’s library, and office workers can discreetly play a quick game of football while sitting in their office. The game features several stages and levels for players to complete. For children and adults playing the game while in school or at work, the save game feature becomes incredibly handy, allowing players to easily return to their previously saved levels each day so that they can complete all 15 game weeks. Each game week includes four to five different stages for players to complete in order to advance to the next week in the game. As previously mentioned, Return Man 3 has many special move abilities that players can unlock at various levels and stages throughout the game. 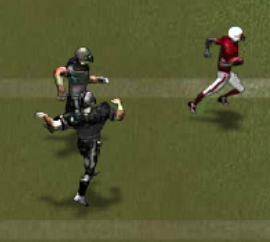 These special moves include: Juke, Front Flip, Ankle Breaker, Hurdle, Stiff Arm, Bulldozer, Spin, and the ever popular Afterburner. Keep in mind that the usage of these special moves is not considered a “freebie.” In fact, each move requires players to spend a certain amount of score points. 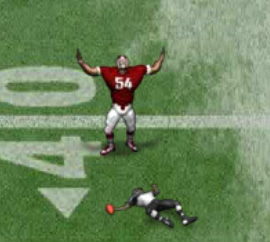 For instance, to activate the Juke special move, the player must spend 300 of their previously earned score points. Return Man 3 can be somewhat difficult for some players. Here’s a few tips to help you achieve the highest score possible within the game. Plan your special moves well. Try not to spend too many score points on performing special moves as this will affect your final score. Be sure to pick up as many special items as possible throughout each level. 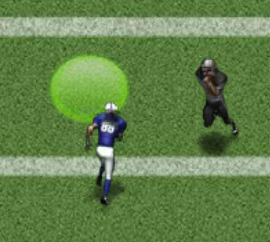 Many special items that you see scattered throughout the field can help you overcome obstacles or rush past the defending blocker. Avoid patches of mud and ice as if they are the plague! These areas on the field will surely slow your character down, resulting in a lower score or even the failure of a stage or level. 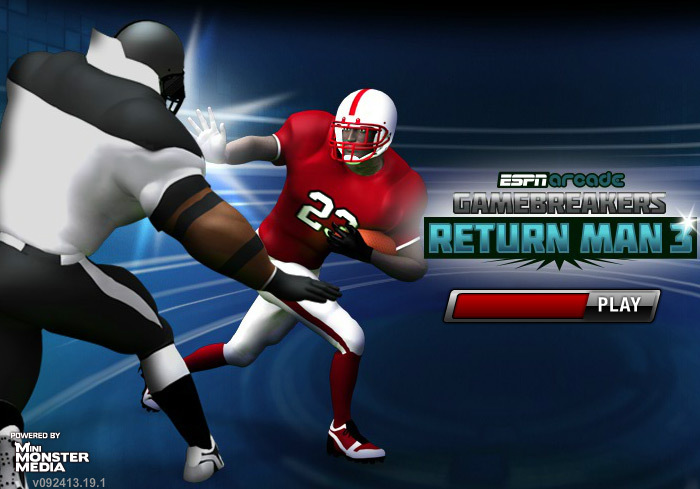 Return Man 3 is an incredibly fun, exciting, action packed football game that is storming the internet today. Now, players can enjoy playing the game at work, at school, or virtually anywhere with this improved, unblocked version of the game!